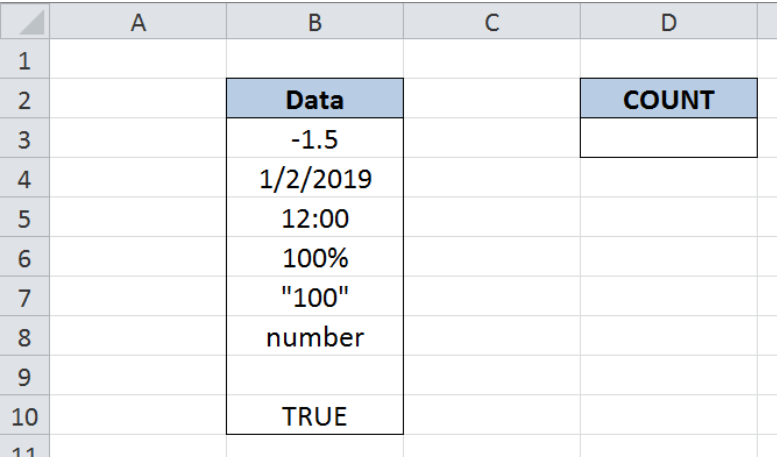 While working with Excel, we are able to count only the numbers in a data set by using the COUNT function. This step by step tutorial will assist all levels of Excel users in the usage and syntax of COUNT function. We have a list in column B consisting of numbers, date, time, empty cell, text and logical values. We want to count the cells containing numbers by using the COUNT function. 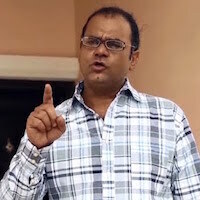 The result will be recorded in cell D3. The argument for our COUNT function is the range B3:B10, which contains our list. 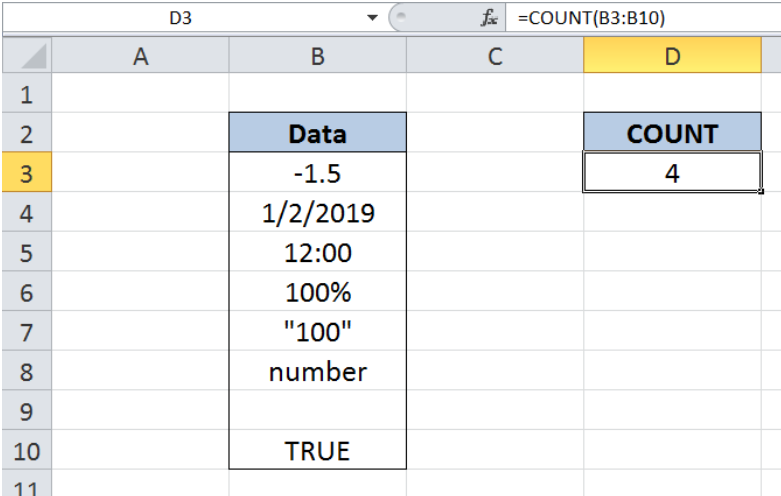 COUNT function identifies the numbers only, including the values that represent numbers such as date and time. In our list, the cells counted as numbers are B3, B4, B5 and B6. 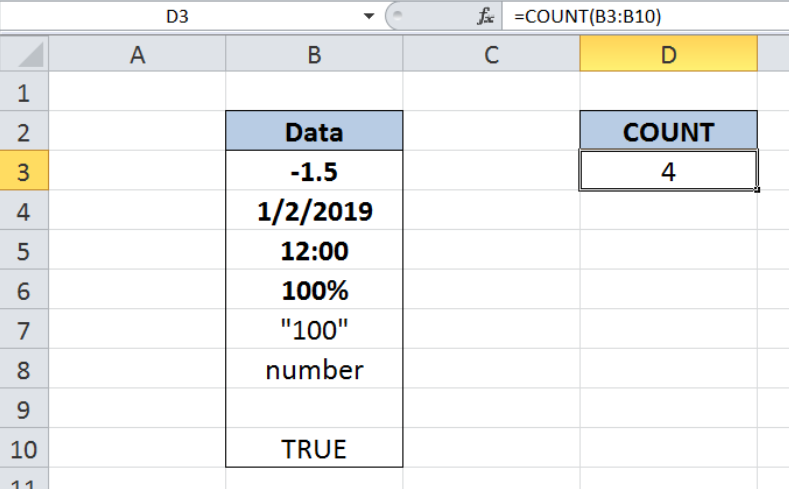 As a result, the value in cell D3 is “4”, which is the count for -1.5, 1/2/2019, 12:00, 100%. The other values are not counted because those are not considered as numbers. Cell B7 is considered as a text value because it is enclosed in quotation marks. Cells B8, B9 and B10 contain a text, empty cell and logical value, respectively. Hence, cells B7:B10 are ignored by the COUNT function. a) In cell C2, write a formula to count the total number of sales leads. Use the COUNTA function.